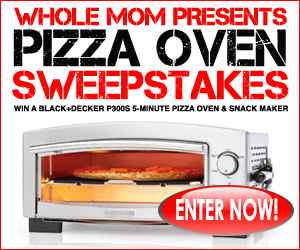 Whole Mom wants readers to enter once for a chance to win this Black & Decker 5-Minute Pizza Oven & Snack Maker worth over $100! PRIZE: One Black + Decker P300S 5-Minute Pizza Oven & Snack Maker. This Sweepstakes ends on 08/31/16 and you can ENTER ONCE to win.